20 July 2015: Two decades on from Iran’s ratification of the Convention on the Rights of the Child (CRC), the Iranian authorities continue to show a shocking lack of respect for the basic human rights of children, 10 human rights groups said today on the 21st anniversary of the ratification of the treaty. The joint statement follows the publication of a formal request by the UN Committee on the Rights of the Child (Committee) for Iran to respond to over 30 concerns ahead of a meeting in Geneva in January 2016 that will scrutinize Iran’s children’s rights record. The Committee’s list of concerns reflects a disturbing trail of broken promises since Iran’s ratification of the CRC in July 1994, a state of affairs that has been the subject of comment and condemnation by human rights groups over the past 20 years. Girls as young as nine and boys as young as 15 continue to be treated and sentenced in the same way as adults for most offences. Death sentences are still imposed and carried out for crimes allegedly committed by persons below 18 years of age. The legal age of marriage remains 13 for girls and 15 for boys with official statistics confirming thousands of marriages of children below 15 years. Children belonging to ethnic minorities are denied the opportunity to learn and use their mother language and to engage in their cultural practices, essential for the development of their cultural identity. Similarly, children belonging to religious minorities experience pervasive abuse and discrimination because of their or their parents’ religious beliefs. Discrimination and violence, including domestic violence and police brutality, also remains a reality for lesbian, gay, bisexual and transgender children. Successive Iranian governments and parliaments have failed to undertake the root-and-branch reforms that are sorely needed to address these concerns. At best, they have refused to acknowledge the scale of such concerns and announced token initiatives, which have rarely been translated into a cohesive and sustained strategy. At worst, they have relied on a general and vaguely worded reservation about compliance with Islamic law to negate the whole object and purpose of the CRC with respect to key issues such as juvenile executions, child marriage and discrimination. After two decades, such token gestures and unfulfilled promises are simply unacceptable. There must be no “ifs”, no “buts” about ending violence and discrimination against children. 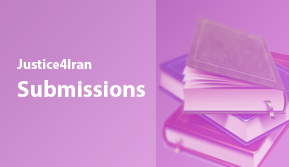 The fourth periodic review of Iran by the Committee is an opportune moment for the Iranian authorities to break with their persistent policy of denial and empty rhetoric and begin delivering long-delayed reforms to ensure the human rights of children, without discrimination, in all matters including at school, in the family, in courts, before administrative bodies and in society in general. As a state party to the CRC, Iran has pledged to ensure that all legislation defines a child as a person under the age of 18 years and the age of criminal responsibility, conforms to the CRC both in law and practice. However, the age of adult criminal responsibility remains nine lunar years for girls and 15 lunar years for boys. Above this age, in cases of hodud (offences against God carrying inalterable punishments prescribed by Shari’a law) and qesas (retribution-in-kind connected with a criminal act), a child is generally convicted and sentenced in the same way as adults, unless a judge determines that he or she did not comprehend the nature of the crime or its consequences or his or her mental growth and maturity are in doubt. The Committee has asked Iran to indicate any measures taken to ensure the age of criminal responsibility conforms to the CRC, both in law and practice. Iran continues to impose and carry out death sentences for crimes allegedly committed by persons below 18 years of age, despite an absolute prohibition on such executions under international law, including the CRC. At least 72 juvenile offenders are believed to have been executed between 2005 and 2014 and at least 160 juvenile offenders are believed to remain on death row. The Committee has asked Iran to provide information on the outcome and progress of the judicial review of cases of persons on death row for crimes committed when they were below the age of 18 years based on a 2014 “pilot judgment” by Iran’s Supreme Court. It has also asked for detailed information on the number of persons awaiting execution for crimes allegedly committed when they were below the age of 18 years and on the fate of Saman Naseem and Barzan Nasrollahzadeh, two juvenile offenders who were reported to be awaiting execution earlier this year. In light of Iran’s obligation to protect children from sexual abuse and exploitation, the Committee has further asked if “Iran intends to repeal article 1108 of its Civil Code, which obliges wives, including married girls, to sexual submission and obedience towards their husbands.” Denial of access to free and compulsory education to girls if pregnant or if their husbands so wish are among the concerns the Committee has raised in relation to the harmful practice of child marriage. Lack of respect for freedom of religion and belief is another concern identified in the Committee’s list of issues. Iran has been asked to identify efforts undertaken to protect children belonging to religious minorities, in particular Baha’i, Sufi and Yarsan children, as well as children from atheist and agnostic families. The Committee has noted with concern the arrest and detention of Baha’i teachers and an announcement by the Advocacy Council for the Right to Education in 2012 that many Iranian students had been banned from education for their religious beliefs. It has asked Iran to inform the Committee about the measures taken to ensure that all children, in particular children belonging to religious minorities, benefit from free and compulsory education, without any restrictions. Widespread discrimination against children from ethnic minorities such as the Ahwazi Arab, Azerbaijani Turk, Baloch and Kurdish minorities continue in everyday life, including in access to education, and is another concern featured in the Committee’s list of issues. Iran has been asked to provide information on the measures taken to provide ethnic minorities with an opportunity to study in their native languages. It has also been asked to indicate the measures taken to address reported targeted arrests, detentions, imprisonments, killings, torture and executions against such groups by the law-enforcing and judicial authorities. The Committee’s list of issues raises concerns that children can be subjected to flogging, stoning and amputation for a range of offences including, for girls, not wearing a hijab. The Committee has asked Iran to provide detailed information on all cases of children subjected to these cruel and inhumane practices, which violate the absolute prohibition on torture under international law. Abuses faced by children in Iran range from domestic violence, including sexual abuse and honour killings, at home to violent forms of discipline at school; from female genital mutilation, especially in the provinces of Kurdistan, Western Azerbaijan, Kermanshahh, Illam, Lorestan and Hormozghan, to police brutality against refugee and migrant children and children living and working on the streets. The Committee has further requested that Iran provide statistical data for the past three years on such cases of abuse and violence against children, and on prosecutions and penalties to perpetrators, and redress and compensation offered to the victims. The Committee has highlighted in this regard the necessity of identifying how the vulnerability of children to such abuses depends on other aspects of their identity, such as gender, ethnic origin, religion, sexual orientation or gender identity, disability, socio-economic background, and immigration status, and asked Iran to indicate the measures taken to provide special protection to the children who are the most likely to be subjected to such abuse and violence, including gay, lesbian, bisexual and transgender children. The CRC is the most widely ratified international human rights treaty and establishes global standards to ensure the protection, survival, and development of all children, without discrimination. The Committee on the Rights of the Child reviews the record of countries that ratify the CRC every five years. As part of this process, the state party submits a state report to the Committee. The Committee also receives information from non-governmental organizations and UN sources to identify areas of progress and concern and to recommend steps that the country should take to improve the lives of children. In March 2015, the 10 human rights groups submitted a joint report to the Committee, which is available on the website of Amnesty International. 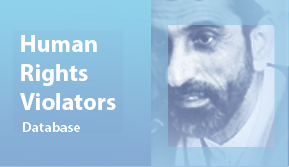 In June 2015, the Committee held a pre-session with non-governmental organizations, including the 10 human rights groups issuing this joint statement, and subsequently adopted a list of issues for Iran, which will form the basis for the review scheduled for the 71st Session of the Committee in January 2016. The Iranian government has been asked to respond to the concerns raised in the list of issues, if possible before 15 October 2015.